Adam Bainbridge, It All Happened in a Moment, 2009 (Image courtesy of 4 Windmill Street). 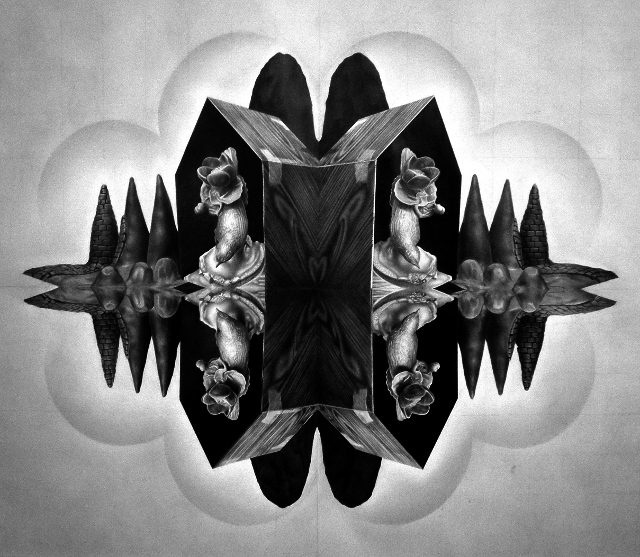 The gallery at 4 Windmill Street hosts a new exhibition, Double Blind, which explores the duplicity of the mirror image in the works of several artists. Pieces challenge our perceptions, with contributions from Anna MR Freeman, Adam Bainbridge, Ross Chisholm, Joe Clark and Douglas Allsop. 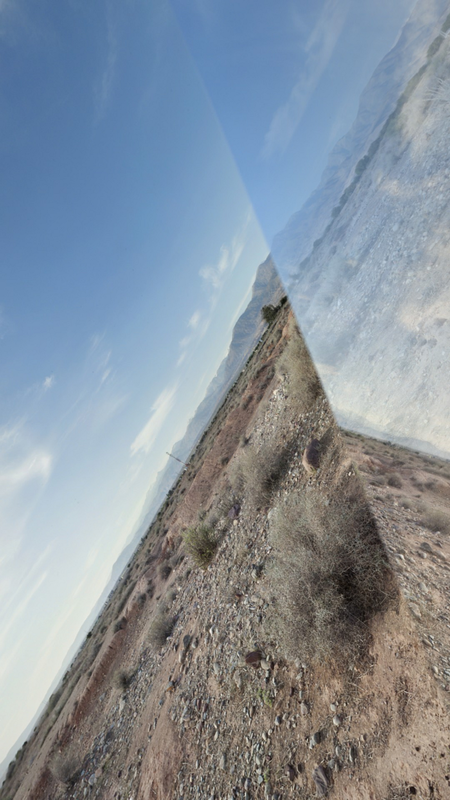 Joe Clark's video work, Asset Management #6 (Anti-Atlas), is a shifting kaleidoscope of rugged desert landscapes and sky, conjoining at odd angles. Similarly, the spliced photoprints of Shallow Pool confuse the viewer — which is sky and which is the reflection in the water? Adam Bainbridge's highly-detailed pencil drawings of classic sculpture appear to blossom with strange new life, and it is difficult to separate animate and inanimate, as in his Noirs I, featuring a classical bust sprouting fungal or plant-like forms. Ross Chisholm's oil paintings reflect the studied technique and great detail of Old Master works, but their repetition, seen in the diptych of Cat Reverb and the triple panels of Last Dance, imitate mechanical reproduction of these works — is there an 'original'? Each painting is a reflection of the others, but also has unique alterations, such as a blot of paint obscuring the eyes or face of the figure portrayed. 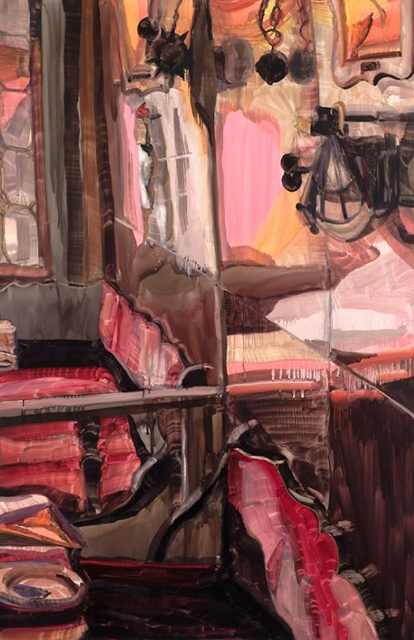 The oil paintings of Anna MR Freeman are wildly coloured and filled with a profusion of form, which resemble quick, reflected glimpses taken of cafe chairs, tables and domestic scenes, but these too are only fragments of reflections, and it is difficult to determine which parts of these paintings represent a concrete reality. Double Blind continues at 4 Windmill Street until 21 February. Opening Hours: Thur-Fri, 2pm-5pm; Saturday 11am-5pm or by appointment. Admission is free.